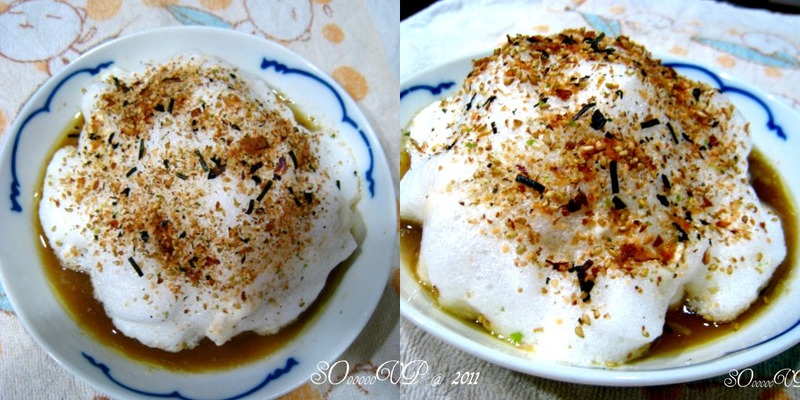 Make use of left-over egg white to make a cold dish. While waiting for egg-white to thaw at room temperature before use, marinate silken bean curd with light soya sauce and sesame oil. 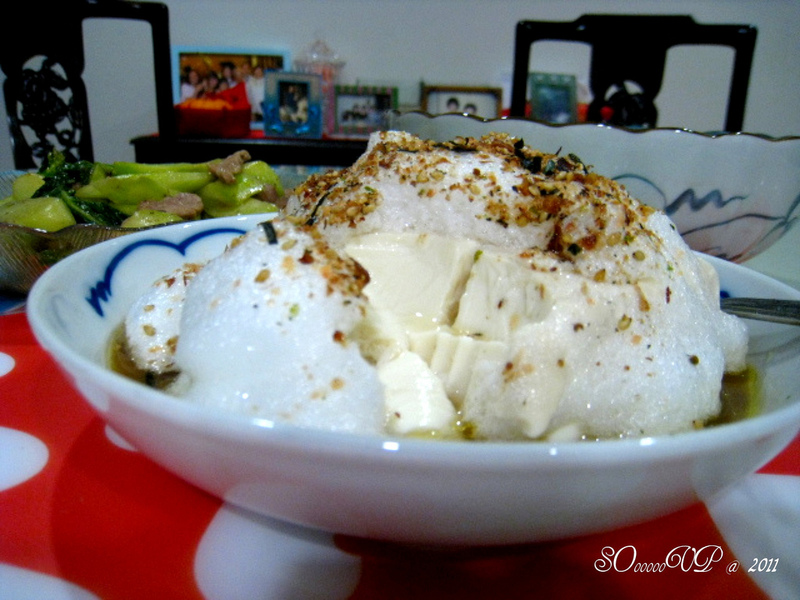 Beat egg-white till firm and spread over to cover cold bean curd. Steam till egg-white is set. Sprinkle with benito flakes and sesame seeds. Refrigerate till serving time. (P.S. Actually I could not remember whether I steam the dish or not as I make this dish out of random).